Rewind to the year before I moved to Cornwall and I watched this epic series on Netlfix called Chefs Table. One episode in particular made me question what I was doing with my life and after watching it on repeat about 80x in one week I began to ask myself what it was about this episode that inspired and captivated me so much. It was the episode with Francis Mallmann. Here was this man wearing woven carpets as clothing, wide brimmed hats perched on top of his head and cooking up rustic food over wood fire around a lake deep in the heart of Patagonia. I'd never heard of this man before or seen anyone cook the way he did but something about it set my soul on fire. It was passionate, it was visceral, it was sensory and hands on. It was simply stunning. 2 weeks later I told a close friend that I was leaving London. I did'nt know where at that moment in time but I knew I needed to be more closely connected to nature. When I eventually settled on moving to Cornwall I spent a lot of time stalking peoples lives on Instagram. 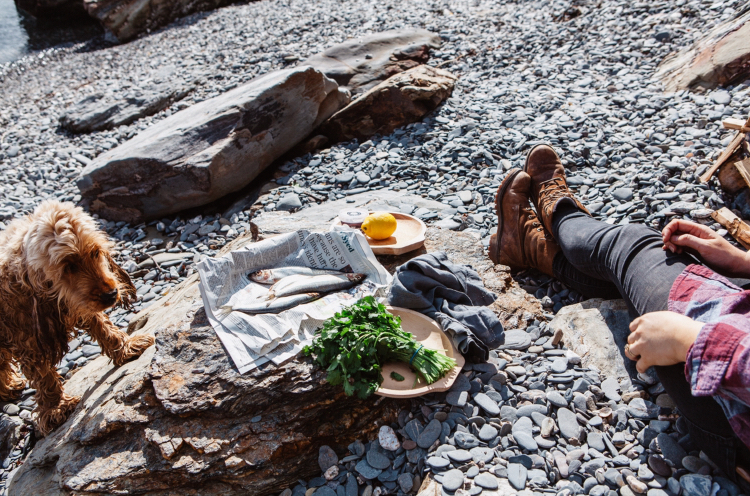 I remember seeing some pictures of this beach on the banks of the river Helford and thinking 'that's it, that's the vibe I'm looking for', all that was missing was a roaring fire, some good food and the sound of laughter coming from friends with full bellies. 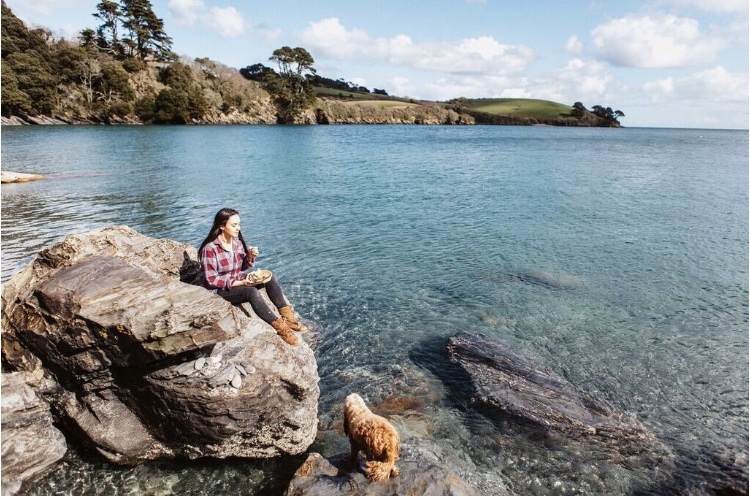 Yesterday, Lizzie and I took a trip down the river Helford to create some content for Anevay stoves and landed on the exact beach that first made me want to call Cornwall my home. 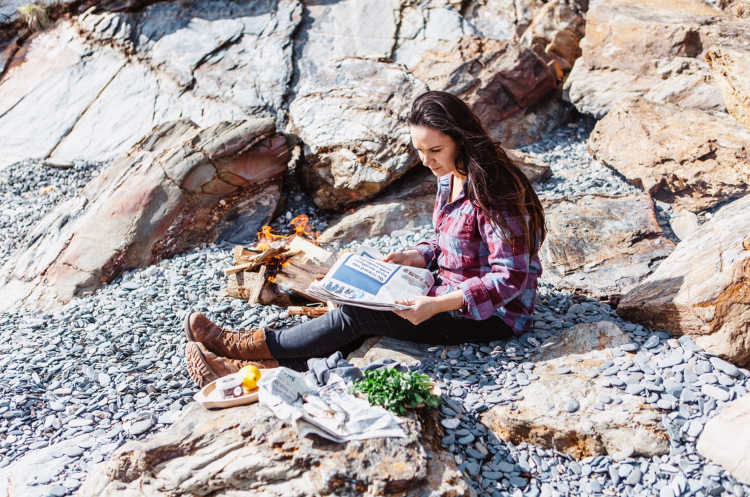 All the content for Anevay will be coming soon (i'm so excited to share it with you, it's been super fun creating it) but inbetween cooking on the stoves I lit a little fire in the corner of the beach and tried out a cooking technique that i've been wanting to try for a while, fish wrapped in newsaper. 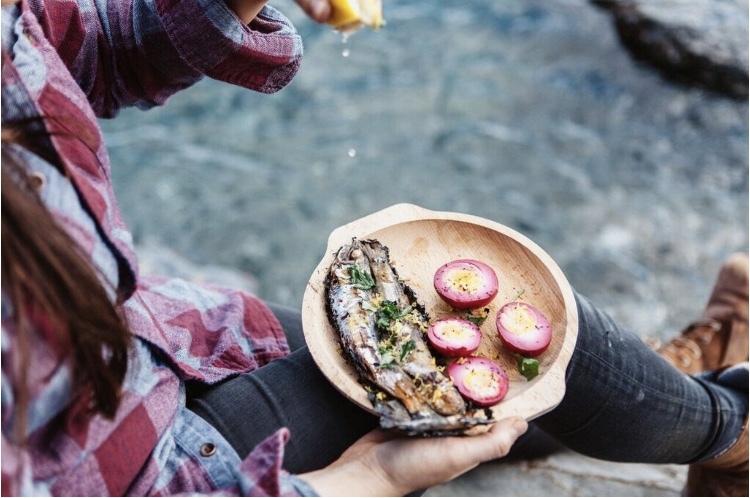 1.Get the fire going and seperate your Herring into serving portions. I used 2 Herring per portion. Make sure they are clean on the inside and outside. Pat dry on the outside and season with a little salt. I used Cornish Sea Salt with seaweed in it. 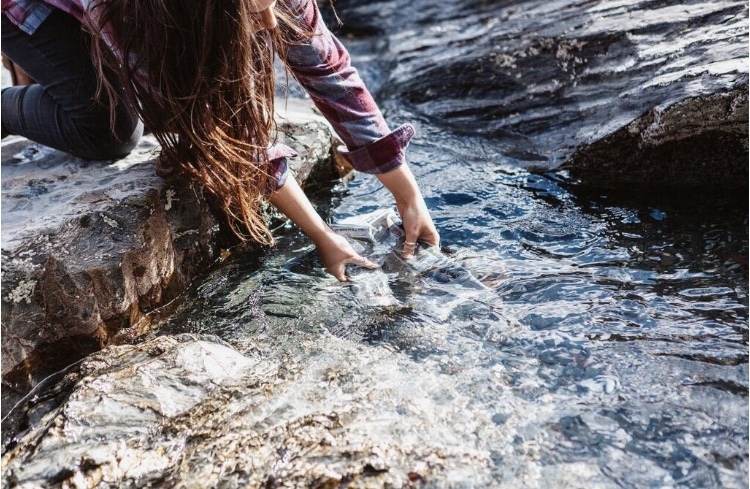 3.Submerge the fish parcels in water for a few minutes and make sure they are soaked through. 5.Once the paper is burnt and you can begin to smell the aromas of cooked fish wafting outward from the fire, you know they are cooked. Take care in removing them from the fire and scrape off the top layer of newspaper. Personally, I like the keep them semi in the newspaper as I think it makes for great visuals. 6.Serve on a plate with a wedge of lemon, some sea salt and some chopped herbs with lemon zest. I was so impressed with how easy and successful this method was that I'm now desperate to try it on some larger fish like mackerel or trout. Give this a go next time you're rustling something up on the beach. It will give your friends something to talk about. Would you dare to give this a try? Let me know in the comments below.